If you are thinking of requesting a quote from us, contact us with full information about your organization and the services you are looking for beforehand in order to receive an accurate estimate from us. If you know what you are looking for than submit a formal request for quotation and in case if you are unsure what information to submit than request a general information quote. 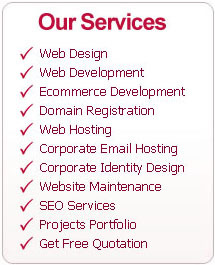 search engine optimization, web development, WordPress design and development along with desktop applications. Copyrights Matli Digital Web Designing company since 2010.